Firstly, I would like to say that we would like you all to eat chez nous every evening, but for those of you who simply must go out, these are some of my favourite places. I personally go to them all and would recommend them to friends and family. I could go on forever as I love to eat out. Owned by Mohammed Skhiri, the ex-honorary consul to the UK, the Yacout combines fine traditional dining with a beautiful stylish décor. In the summer months, the aperitif is served on the roof terrace, which has the most splendid view of the Medina at night. In the winter months the aperitif is served on the first floor where blazing fires are lit every evening and you can relax to the hypnotic beat of Gnaoua music. The main meal is served on the ground floor, either by the pool in the summer months or the cosy side rooms in the winter. 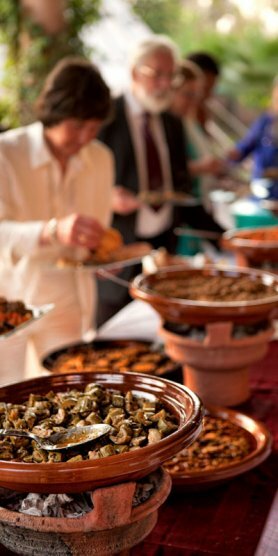 Selections of Moroccan salads, followed by a great ‘chicken with lemon dish’, followed by lamb and couscous, followed by dessert, followed by Moroccan pastries. Need I go on… A bit pricey at 700 dirhams per head, but all alcohol is included in this price, including a great size gin and tonic and a digestive after the meal. 22 DerbAbdellah Ben Hessaien, R’mila, Bab Ksour. Medina Tel: 0 524 44 15 23 – Open 19.30–midnight. Closed Tuesdays This restaurant is owned by French woman, Christine Rio and her photographer husband. Hidden in the back alleys inside the Bab L’aksour area, Tobsil combines great Moroccan food with a cosy, intimate atmosphere. The portions are enormous as with all traditional Moroccan restaurants, but don’t worry if you can’t eat it all, there are always worthy cases outside who will be fed that night. Soft music is played and tables are seated either in the plant filled courtyard or in one of the cosy upper floor salons. 81 rue Dar el Bacha, Medina Tel: 0 524 38 64 00 – Open noon–15.00, 19.10 till late. Closed Mondays Moroccan Nouvelle Cuisine at its best. Owned by Mohammed, an incredible chef who lived and worked in Switzerland before returning to Marrakech to open this excellent restaurant. The dishes are all traditional, but with a new twist to them. There is a beautiful rose petal covered courtyard with tables set around it, and really cosy rooms inside the house if the courtyard is fully booked. I really like Dar Moha, as you can order à la carte and the portions are human sized. 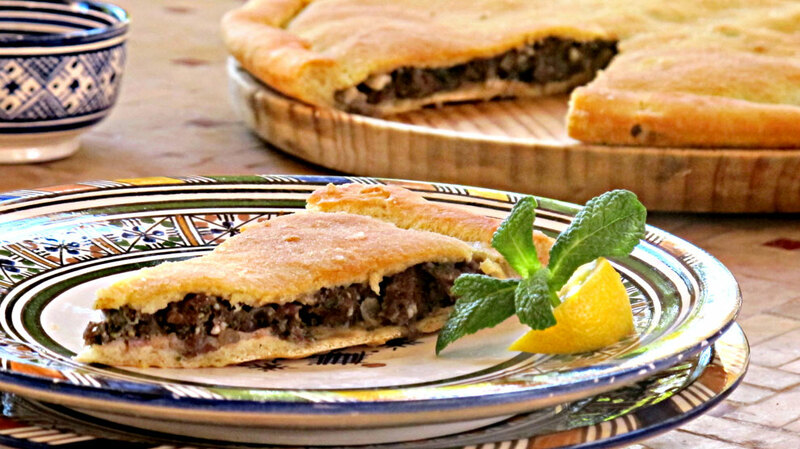 Place Djemma El Fna Tel: 0524 442 341 One of the oldest Moroccan restaurants in Marrakech. I really don’t know why I haven’t recommended this one before. It is so handy for anyone coming out of the souks after a long hot day and you really can’t miss it. Tasty Moroccan food, 3 different price menus. Serves alcohol but alcohol is a bit pricey and bumps the bill up considerably. Still, a very useful address. 232 Avenue Mohammed V, Guéliz Tel: 0 524 43 40 60 Another favourite of mine. Al Fassia is situated in the new town and is very easy to walk to from the city centre. 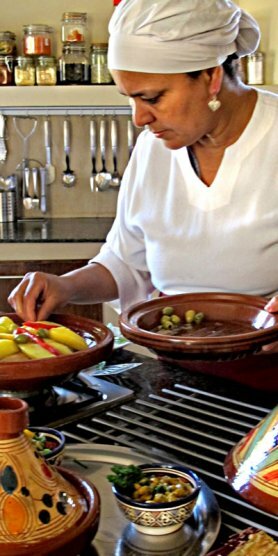 The restaurant is run entirely by women and serves really excellent Moroccan dishes. You can order à la carte and it is fairly reasonably priced. 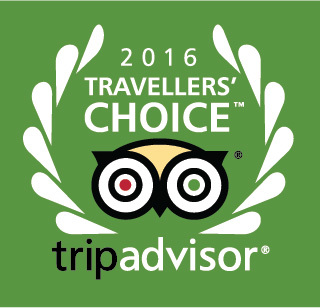 Really difficult to get a booking there in high season as it is so popular with Moroccans and Europeans alike. It is very difficult to get reservation on the same day and in high season even several days in advance. They have now opened a new restaurant on the route to Ourika valley. I have never been there but have heard good things about it. Rue Allal Ben Ahmed, Gueliz. Tel. 0524 44 68 96. Open lunch: 12 pm – 4pm, 7 days a week, dinner: by reservation only, minimum 10 people. The excellent menu changes daily, with at least two different Moroccan dishes and two international dishes (the head chef is trained in French/international cuisine). You’ll always find something tasty to choose from and the kitchen is happy to cater to special requests such as vegetarian or vegan preferences, kid menus, etc. A lovely place to take a group of friends if you want a private dinner. Avenue Echouhada, Guéliz/Hivernage Tel: 0 24 43 77 02 – 16.00–01.00 and till 02.30 Friday and Saturday, Daily Sister restaurant of the Parisien Comptoir, this restaurant is better known for its ambience than its food, although I have recently had a couple of very good meals there. They serve good tapas and fairly good Moroccan and fusion dishes. What I like about it, is the décor and the fact that they have belly dancers every night around 10.30. It’s a great place for a lively night out , you can also just go for a drink there and people watch and is close to the cities best hotels and night clubs. 55 Souk Hal Fassi, Kat Bennahid, Medina Tel: 0 24 37 81 90 – Open noon–midnight. Closed Mondays Traditionally a fondouk was a resting place for tradesmen visiting Marrakech. Most fondouks have been turned into small work areas, shared by Marrakech artisans, but this one has been transformed into a very chic and popular restaurant. French owned, it has quickly become one of the ‘in’ places to eat in Marrakech. It has a great roof terrace where you can in eat in the summer months and the interior of the restaurant is fabulous. The food is of a good standard and the prices reasonable. Douar Lohna, Route de L’Ourika Tel: 0 24 38 80 12 – Open 20.00–01.00 Daily Situated on the road to Ourika, this restaurant is great for a lively night out. The colonial chic interior is really something and they have a fabulous garden where you can laze on long sofas with a drink after your meal. The food is good with a mix of Moroccan and fusion dishes. A bit pricey. They have a resident DJ who plays some really great music later on and nobody minds if you boogie on down. 47 Place des Ferblantiers, Medina Tel: 0 24 38 03 24 – Open noon–15.00 and 20.00–midnight daily I love having an evening pre-dinner drink on the terrace of this restaurant overlooking the Medina. 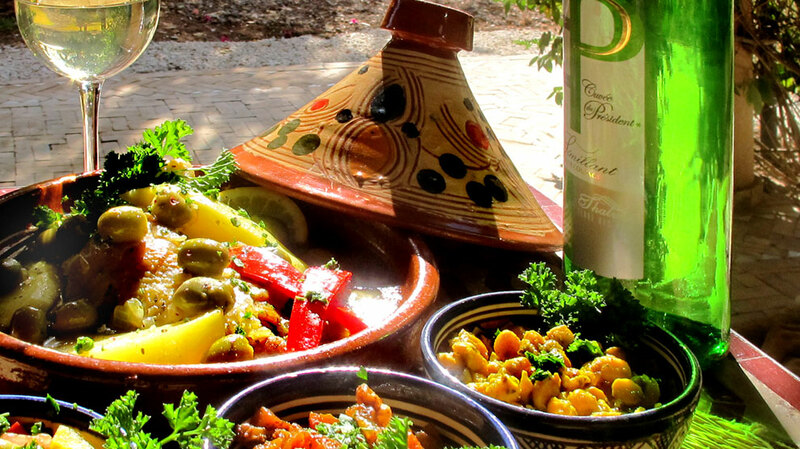 Good Moroccan dishes, international cuisine and sushi. Reasonably priced and a very good atmosphere at weekends in the evening when they have live entertainment. 92, Rue Yougoslavia, Guéliz Really nice French/Italian cuisine. The Corsican owner supervises all the dishes that go out and my friends and I regularly go there for lunch or dinner. Friendly atmosphere, charming waitresses and really reasonable prices. 46, Rue Tarik Ben Zayad, Guéliz Tel: 0524 433 731 One of the longest standing Italian restaurants in town and owned by a Franco/Moroccan couple. Gets really busy after 20.00 and is really popular with locals. Great value and excellent food. Guéliz Tel: o524 449 775 Owned by two charming Moroccan women. This retsaurant serves enormous salads, great pizzas and selection of meat and pasta dishes. Again, it is really popular with locals and ex-pats alike and the prices are very reasonable. Rue de Yougoslavie. Tel: 05 24 43 02 74. Situated in Gueliz, the new town of Marrakech, this is one of my favourite ‘girlie lunch’ venues. Family run French bistro owned by the same family since the early 1930’s. Great french favourites, a fabulous sunny terrace and generally just good value for money. Nice friendly atmosphere in the evenings too. 85 Avenue Moulay Rachid, Gueliz. Tel: 05 24 43 37 00. A recent discovery of mine, this restaurant changes its menu daily and always has something interesting to choose from. Chic interior decorated in soft greys and red upholstery, this restaurant is popular with locals and tourists alike and has a great bar area for pre-dinner aperitif. Last, but not least, you really should try one of the stalls on the Jmaa el-Fna square. My personal favourite is No. 14, which serves amazing fish and chips (Moroccan Style) with sweet pepper and crushed aubergine salads. It is ridiculously cheap and always packed with Moroccans, so you will have to queue. I really don’t have room for any more but can tell you more when you get here. Happy Eating!